London-based start-up Glö offers paperless wedding invitations, save the dates, and wedding websites for brides who "didn't say 'yes' to addressing envelopes." 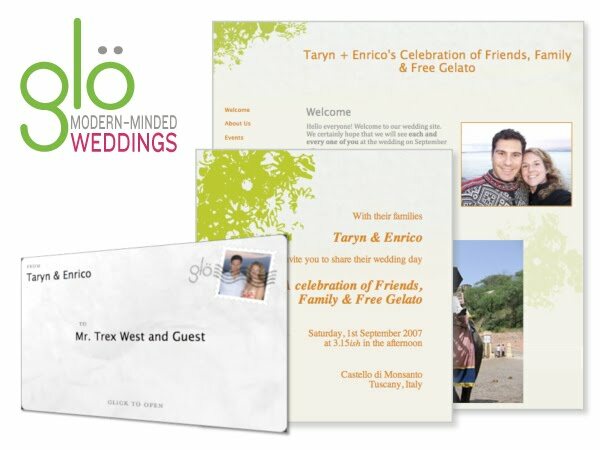 Glö provides brides with designs and functionality that enable them to save time, money, and trees while maintaining the customized look and feel of traditional invitations.Glö offers a broad range of designs to choose from or allows users upload their own designs, giving couples the option to work with a favorite designer or coordinate their online communications with other paper stationery products. Glö enables couples to create e-invites or save-the-dates that mimic paper communications. 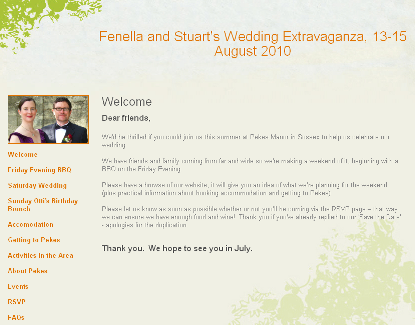 They can also create a matching wedding websites and add unlimited pages of information, events and RSVP questions. Glö has an RSVP system where couples can select which guests are invited to each event (such as the rehearsal dinner, brunch after the wedding, etc.) and the Glösite will only display the relevant events & RSVP questions to each guest. Guests can view and edit RSVP responses for everyone in their household or party.